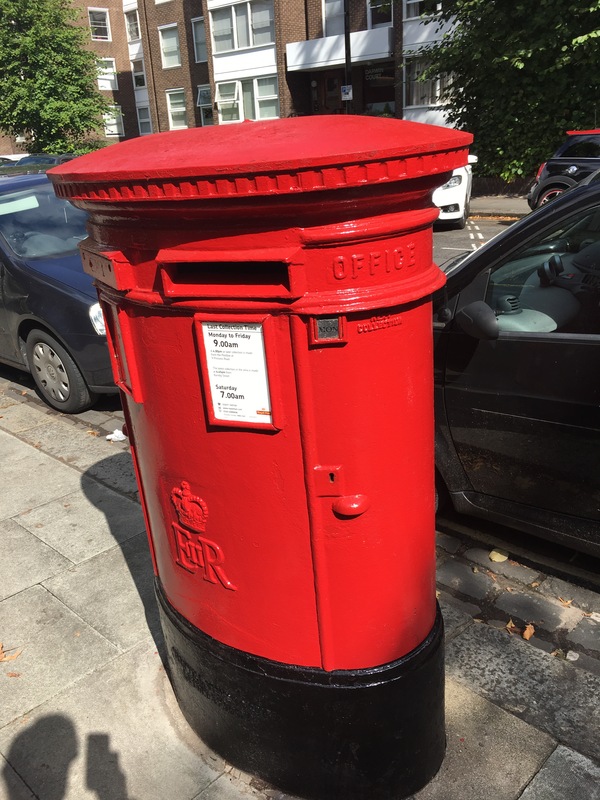 Following up on my previous post about locations in London made famous by John le Carré as haunts of George Smiley, I’m posting some other spots where fictional spies hung out. You can find all of these and more on my fictional spies Google map. 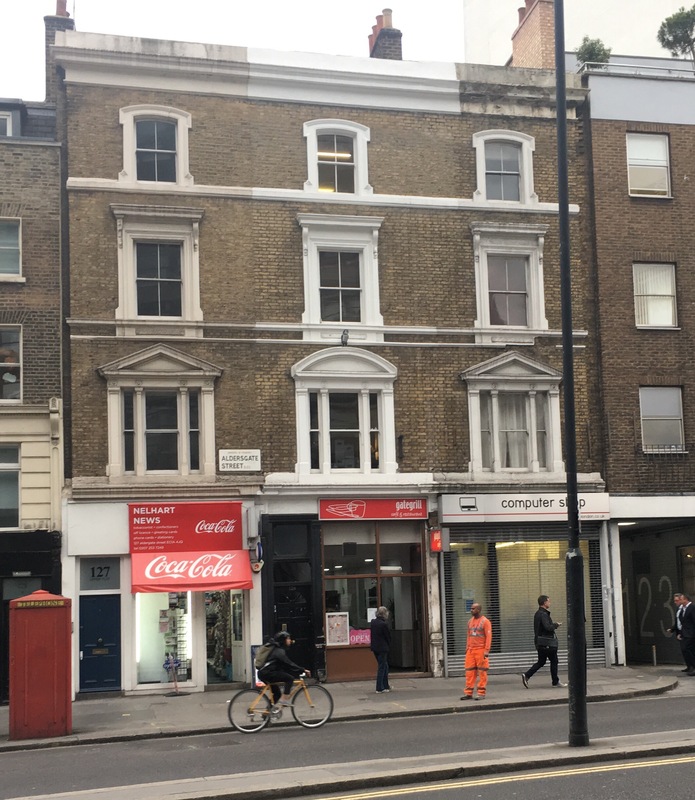 Update: Author Mick Herron has confirmed via email that this is indeed the location he had in mind for Slough House. Up first is the Slough House series by Mick Herron. 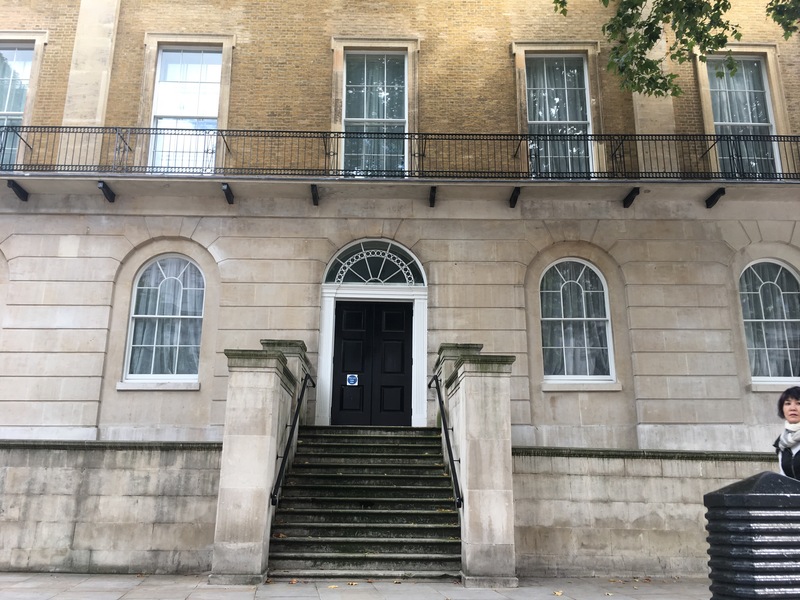 Through a close read of the books and some Google map work, I came up with what I think is the location of Slough House – the dumping ground for all the misfits, rejects and losers MI5 wants out of the way. Just steps away from the Barbican tube station is this building. As some have said, it’s not quite as shabby as you might think from the book description. 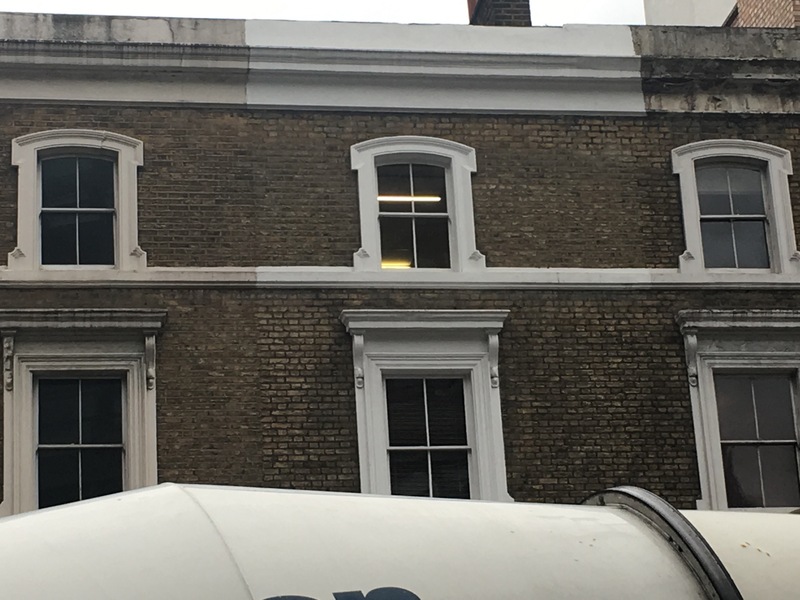 Someone appears to have touched up the middle section recently, which frankly makes it look even more sad. It does seem to tick most of the boxes. Stone’s throw from Barbican station? Check. Buses going by and Bus stop close? Check. 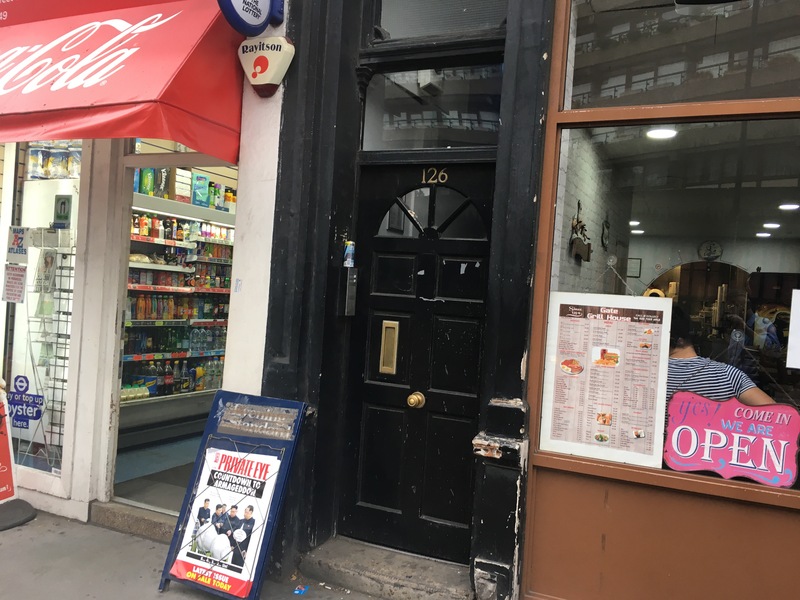 Doorway jammed between a shady newsstand and restaurant? Check. Fluorescent lights shining through the upper floor windows? Check. Being next to a Chinese restaurant put me off the scent for awhile, I couldn’t find a building close to a restaurant that checked most of the boxes, but I do think this is a strong contender. It’s before noon, I doubt Lamb is in yet. If nothing else I’m sure I garnered some odd looks as I took pictures of a grotty door with a beer can sitting on the intercom that looks like it’s been there awhile. So head to 126 Aldersgate St and pretend your one of the Slow Horses. 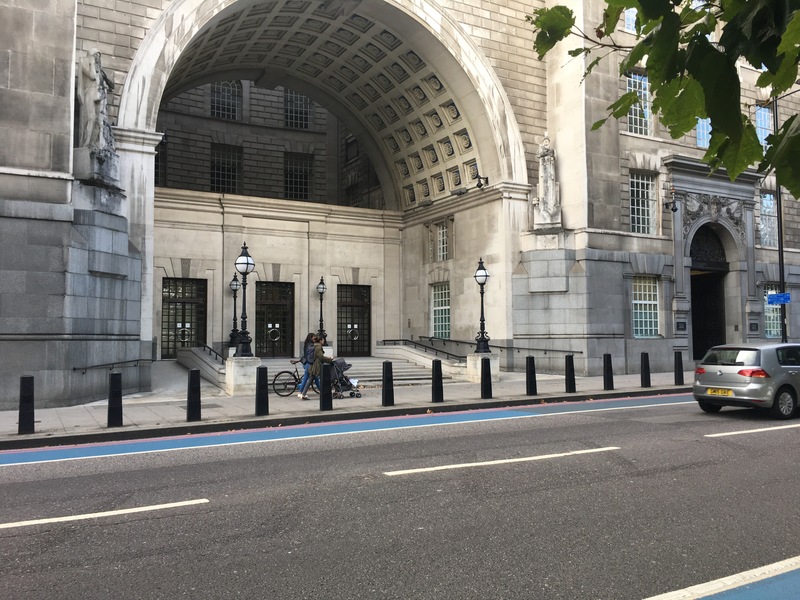 I also went by the headquarters of MI5 – the holy grail for all slow horses. 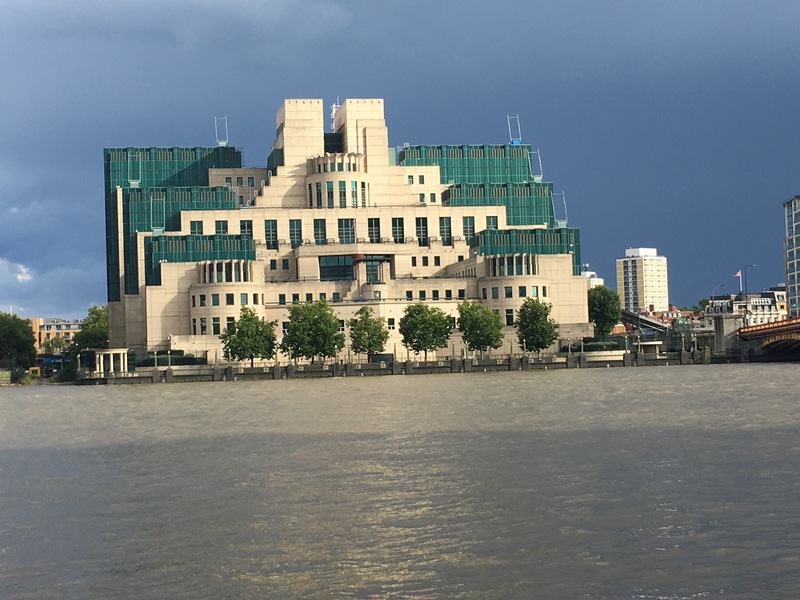 Unlike MI6 with their fancy new building on the river, MI5 got a repurposed, but still intimidating building. The Visitors entrance. Watch your step. 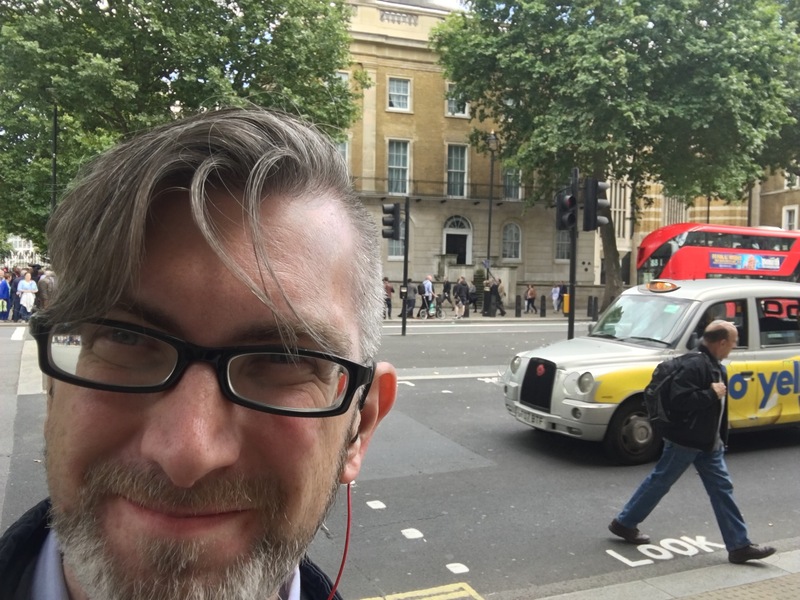 While walking with Shane Whaley of the Spybrary podcast, he pointed out a TV location that I remember with fondness, the fictional Thames House from the BBC show Spooks/MI5. The show had a very strong first two seasons before struggling, but it ended on a strong note and recently had movie released from the same universe. 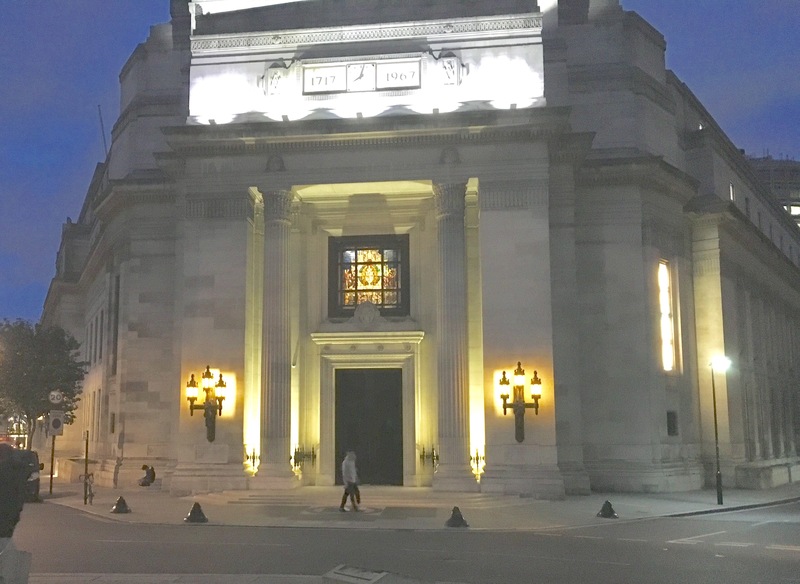 The building they used for MI5 HQ is actually a Masonic hall. 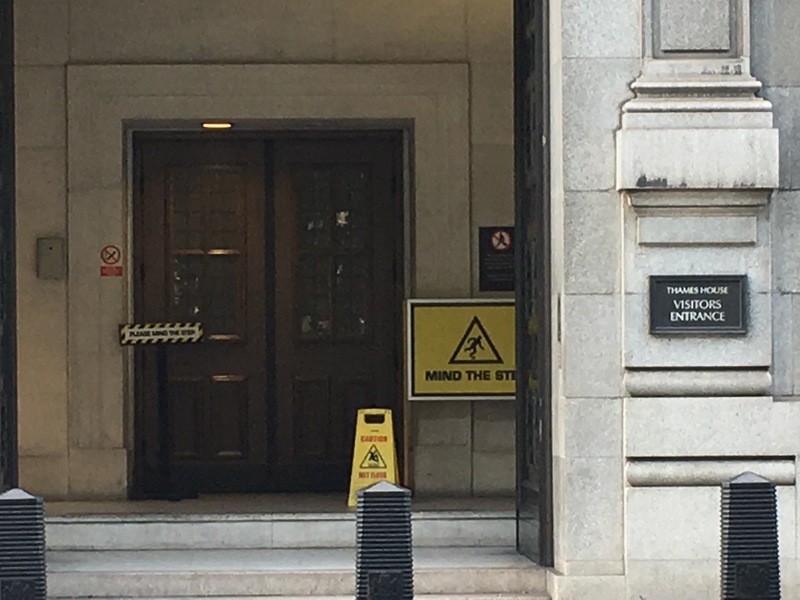 Moving on from MI5, I went searching for Quiller. 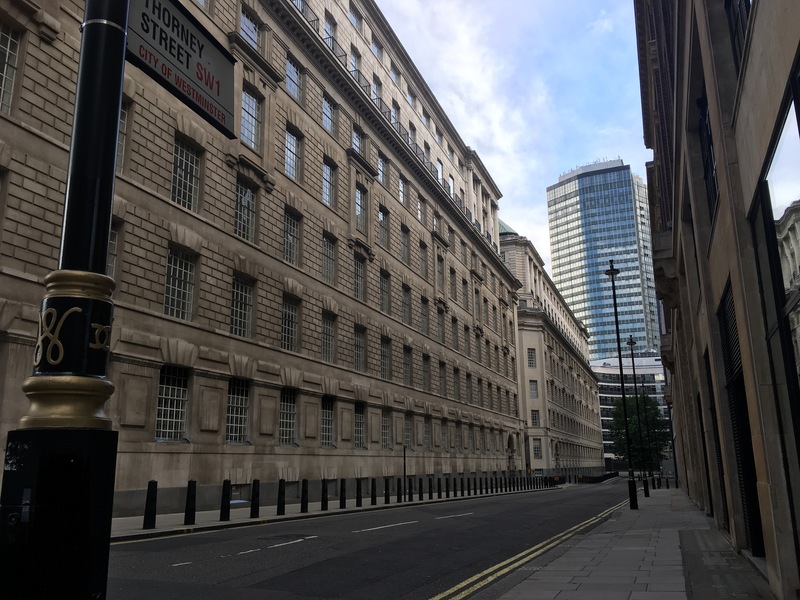 Thanks to the Quiller email list and especially the advice of Tony Buckley and Tim Stevens, I zeroed in on this building on Whitehall as the location for the Bureau. Quiller talks often of spending time here, hanging out in the Caf in between missions. No ferrets spotted … yet. 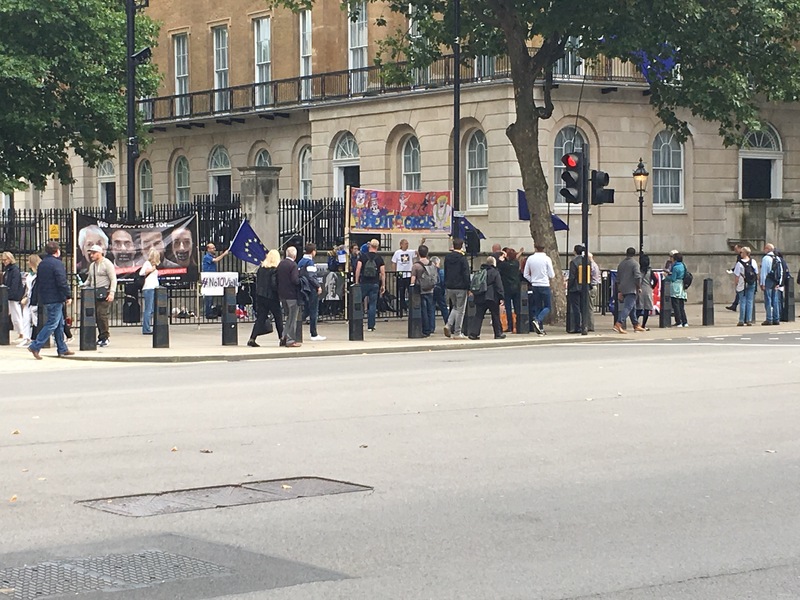 The day I was there they had a group out front singing famous songs with the words changed to support the EU. Makes me think the Bureau is no longer located in the most secure location. 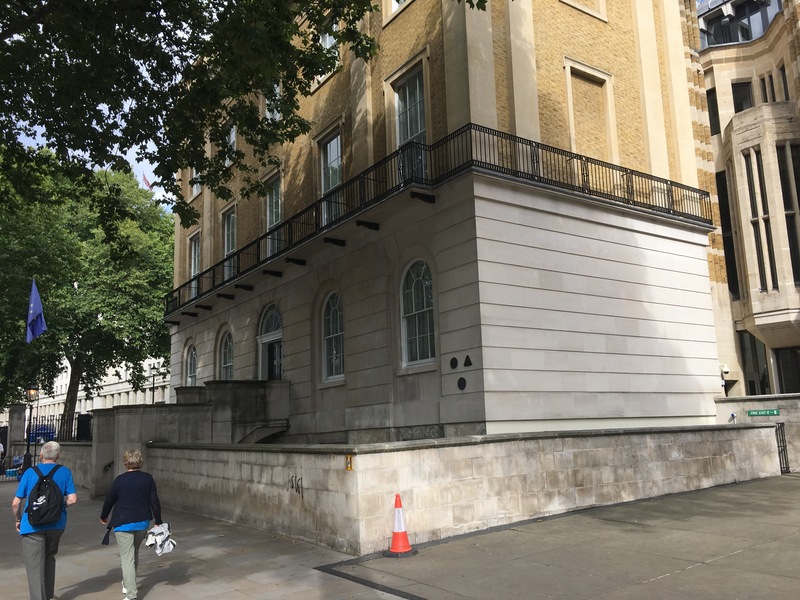 It’s just across the street from 10 Downing St. where the Prime Minister lives and where Quiller once went for a pre-mission Briefing. Just another day at the office. 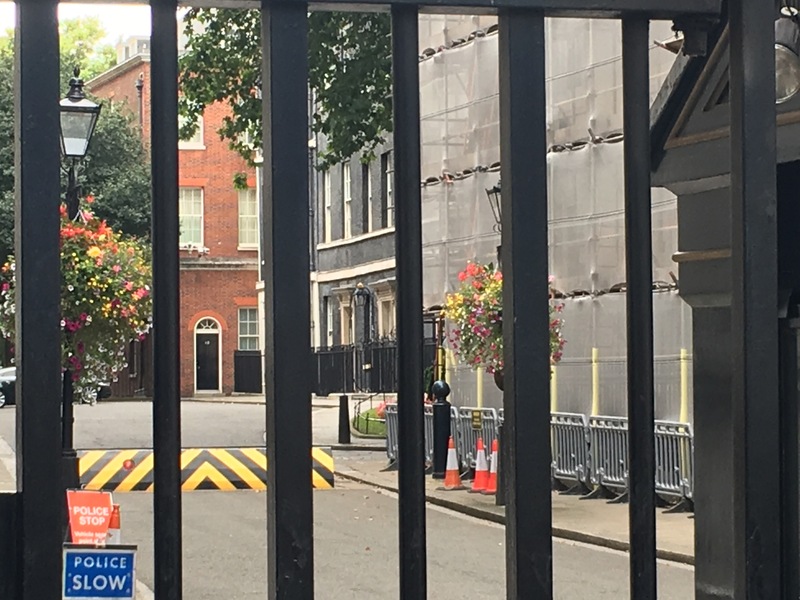 The black facade of 10 Downing St. 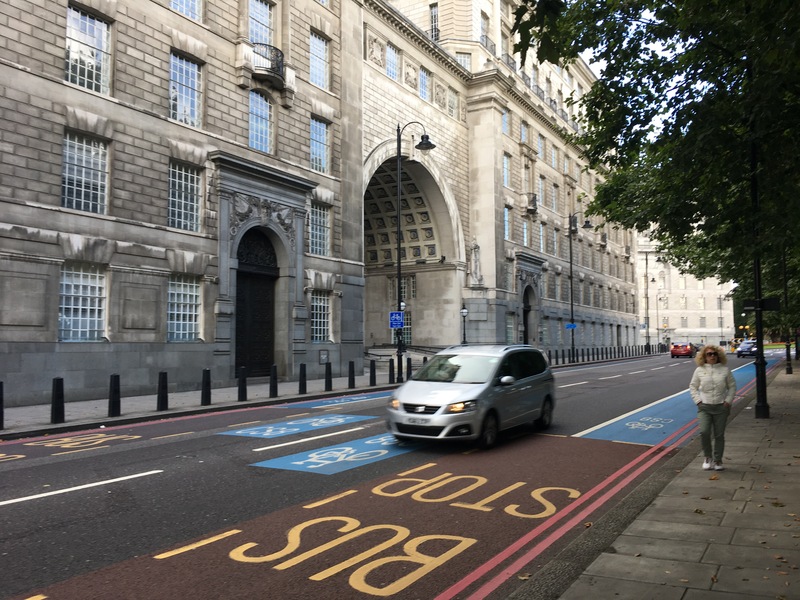 This location could probably have been on my last post as it is a location in A Legacy of Spies – Vauxhall Cross, the relatively new location of MI6. Looking a bit like a castle, the imposing and rather ugly building shows that the SIS isn’t hiding its candle under a bushel anymore. It’s also close to the location of the soon to open relocated US embassy. I’m sure spies will be ferrying themselves back and forth soon. Lastly, no trip to London visiting spies would be complete without a visit to the headquarters of Danger Mouse. At least, that’s what my kids would say. What a great tour and bravo for finding ‘Slough House’. 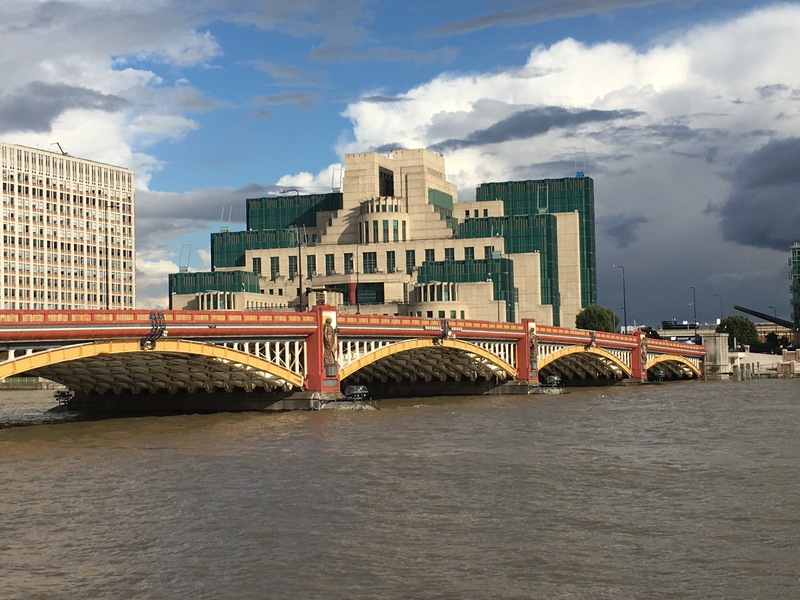 I love the Mi5 building, it’s quite beautiful. Cross to be turned into luxury apartments. Doubtless the next inhabitants will be money launderers but they’ll get a great view. Thanks! It was a lot of fun searching out the various locations. I hadn’t heard about Vauxhall Cross. That’s both surprising they’re moving and odd that it’ll be turned into apartments.